Home Blog The Holidays are over – what are our plans now? The Holidays are over – what are our plans now? Summer is a period when everything stops or slows down for a while. The industry takes a break. Developers and publishers pack their bags, leave their offices and go for holiday. Of course it also happened in our case, but we didn’t totally stop. While the holidays were making everyone lazy, we took a chance and followed some plans and steps we consider most important for our business. Our main goal recently was to keep up with the schedule for new game releases. And we made it. Space 4 In a Row and Steam Simon came out recently and they found themselves as one of our best releases so far. We are happy with the results because the games were quickly accepted by our partners, and this allowed the games to go live and reach the gamers. During holidays, the activity of companies we work with or potential partners is much lower than normal. Working from the usual schedule doesn’t always go as plan, so we decided to create new goals. In the few next months, we would like to focus more on our content, brand visibility, income, relations with outside companies, etc. So what do we plan to do? Attend the OnGameStart conference in Warsaw 19-20 September, 2013. This is a very important event. There aren’t many conferences which focus only on HTML5 gaming, so if you have never been there – now is your chance! If some of you didn’t hear about it yet, please visit the official site, read the agenda and learn more. You will get a chance to meet important figures of HTML5 gaming who will share their experiences and knowledge. What’s most important – you will also meet our whole team! Yes, we will also go there and our Co-founder Piotr Gawle will be one of the speakers :)! We will continue the search for wider audience and business opportunities. 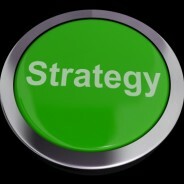 One of our main goals is stretching the partnership opportunities and looking for new business solutions for our games. Having higher awareness of the current market situation we know that every day new chances for great deals show up. The number of companies interested in HTML5 games is constantly growing and taking chances always pays off. If we manage to reach a certain audience amount provided by new publishers, we will be able to move on with other ideas and plans for our company. One of the goals which we managed to achieve in the last few months is changing our company structure. Thanks to the effort and scheduled steps, our finances and activity allowed us to become a limited corporation. Since September 2013, we will officially change our name to Bushido Games Sp z o.o. A lot of hard work, risks and planning paid off and we reached a point where our income and structure allows us to move forward. This change is also very good for our brand and visibility in the market. Along with new business opportunities and a wider audience, we would like to diversify our income. That doesn’t mean only pushing more traffic and signing more contracts. That also means that we have to review our current earnings, reports, and data provided from analytics to see how much better we can optimize revenues from our games. This always costs additional resources and time, but we have done that in the past. Thanks to this we found ourselves at a point where we can move forward. Games, games, more games! Yes! The beginning of this year brought us the idea of releasing more simple casual games for mobile to diversify the income from advertising revenues. This plan is working already, and we are pushing a couple more projects to the end of 2013. We will keep the quality and simplicity as we have in the past because the market still wants and needs this kind of gaming. I cannot tell you the exact game titles and their descriptions, but they will stay close to the standard we are creating now. I can tell that one of the games we plan will be a fun cross-platform multiplayer designed game for social networks such as as Facebook or Nasza-klasa. It will bring together all of our experience and creative solutions that we have learned from past projects. Stay tuned, more information will be coming soon! Our current products and brand need a new marketing strategy. Currently we push our marketing through the most popular and well known channels and our partners support us in the activity. This time we decided to work a bit on brand visibility and new solutions for products. The company site as well as the products will receive new visual appearance, new goals and strategy. We believe that we can move further and see a brighter future for the niche we work in. We have loads of plans, projects and opportunities on the horizon. We believe that the current plan will work out, and we will take another huge step toward a better future for our business and the HTML5 gaming market!